» Aussie Winter June Update! Let’s start off with our epic re-imagining of Ian Livingstone and Steve Jackson’s very first Fighting Fantasy gamebook shall we? If you’ve been following this project over the last year via our Kickstarter updates, you will know that we’re running a few months behind schedule but the game (or digital gamebook – depending on where you draw that line) is looking and playing great – so well worth it! We’ve now created over 100 3D figurines of heroes and monsters, which has only been possible with the extra hit of cash from our Kickstarter campaign. Some of these have been via 3D scanning in figs from Otherworld Miniatures and painting them up, but many have also been brand new 3D builds, as we felt we wanted some of the more identifiable characters from Firetop Mountain to actually look like their Russ Nicholson illustrated versions. TMG’s chief combat designer is working hard at the moment implementing GridBluff, our new simultaneous turn-based combat system throughout Firetop Mountain. This is one of the big departures for our new digital gamebook system and places your hero figurine a center of the action. It uses a variety of attack patterns individually suited to each character, having you anticipate the moves of your opponents as you hack and slash your way around a scalable battlefield. We’re going to post a big update about our combat system on the Kickstarter page in the coming weeks, so keep an eye out for that! And for those who are worried about dice not being there, we have implemented them too, in slightly different way. Apart from fixing the hundreds of bugs that crop up in game development, we’re also currently adding in lots of new content for each of the adventurers that are selectable at the beginning of the game. This means as well as expanding the original adventure beyond its original 400 sections, we are also tailoring each read-through so that with each character’s wanderings they experience elements of Firetop Mountain differently, especially in relation to their own personal quests. Our chief environment artist has almost built every section of the mountain too and designed the system such that all the pieces slot together as you move around. We’re also adding in a funky lighting system with depth of field to make the sets look like miniatures, while maintaining an eerie feel to rooms and passageways. The pieces don’t just build out horizontally across a virtual table, but they are also built vertically, as is the case when you enter the Domain of the Dead! 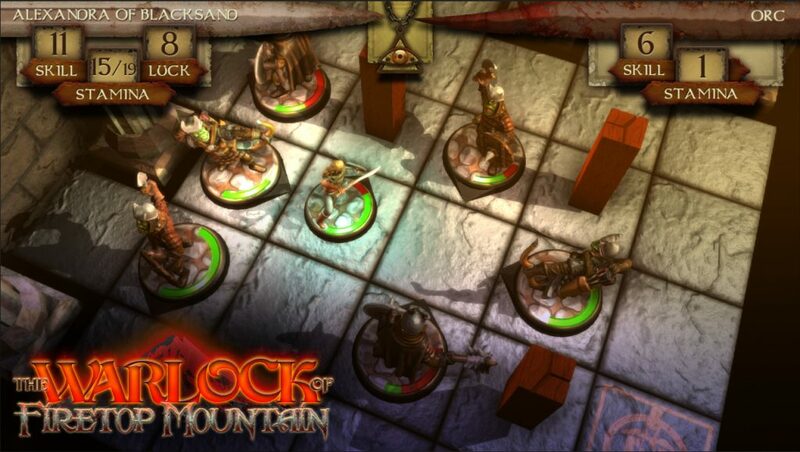 We’re hoping for a release of The Warlock of Firetop Mountain around August time on Steam. We’ll then start looking at getting a version working for smartphones and tablets. We’ve had a few Tin Man Games fans asking about the two sequels that we promised to last year’s Legacy of Dorn: Herald of Oblivion. Sadly we’ve had to put these on hiatus because sales numbers of the first digital gamebook were not as high as we had hoped. Obviously we’re quite disappointed with this outcome as we absolutely loved working within the Warhammer 40,000 universe and Jonathan Green was keen to write the sequels. Sometimes in this business the projects that you pour your heart into and derive a lot of professional pleasure from are not always the ones that work out from a business point of view. Games Workshop were absolutely fantastic to work, being very supportive at all times and hopefully we’ll get to work with them again in the future! Thankfully the first gamebook does play on its own as a stand-alone title, so if you’ve not played it yet then wander over to our Gamebook Adventures page and check it out! 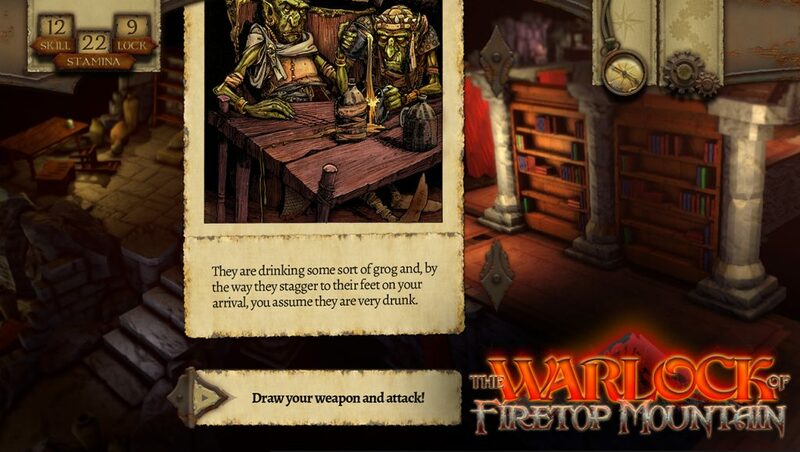 With the impending arrival of our new digital gamebook system (starting with The Warlock of Firetop Mountain) we’ve revised our prices for our apps across the iOS App Store, Google Play and Amazon Appstore. 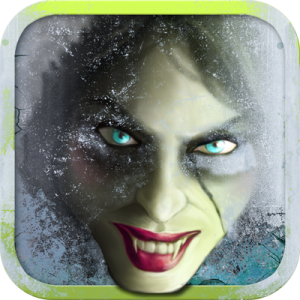 You can now buy a Gamebook Adventures app for around $1.99 USD and a Fighting Fantasy app for around $2.99 USD. We’ve also adjusted the prices of many of our other apps too so have a check out our Gamebook Adventures site for a full breakdown. Sadly our deal with Matt Youngmark of Chooseomatic Books has come to an end that means we have had to remove the app from sale across all marketplaces. Matt has new plans for the series in a digital format and we wish him all the best for the future! If you own the app, we would very much recommend that you make a back-up or you might not be able to re-download it at a later date. A few months ago we received reports of some of our titles not working as intended on iPhones and iPads with iOS9 installed. The main complaint has been the loss of music and the intro not starting correctly. This is due to a number of factors that are legacy from our older GA engine, being built using older versions of Unity. The team spent a few weeks fixing some of the apps, most notably most of the FF apps, but were not able to attend to all of these before we hit a busy period of work on Warlock. Therefore a handful of our apps may have sound errors and we humbly apologise. With a small team and so many apps, an operating system update is always a tricky time to negotiate as things invariably break. We will look to address these immediately once Warlock development is completed. As a side-note to this we have removed Trial of the Clone from sale on the App Store until this is fixed, as Wil Wheaton’s voiceover no longer works. Miss Fisher and the Deathly Maze Update! It’s not just that pesky Warlock that is consuming our time at the moment as we’re also working hard on our new visual novel adventure game based on TV’s Miss Fisher. We’ve had an incredible response to our online announcements to this game can’t wait to unleash it on to the world. It’s a bold new direction for us, not only artistically but in the way we are presenting the adventure story and incorporating the choice-based narrative. We’re breaking up the game into Episodes and hope to release Episode 1 on to the App Store soon! Find out more on the our Miss Fisher Gamebook Adventures page! Remember you can follow our antics via on Facebook via our TMG page, on Twitter via @TinManNeil and @TinManGamebooks, and on our Warlock Kickstarter page!